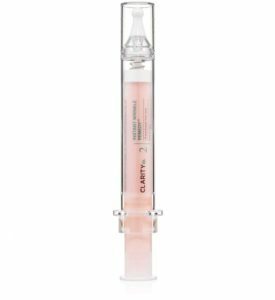 Put your skin into check with this intensive face mask for clarifying your skin, removing impurities and clearing pores. 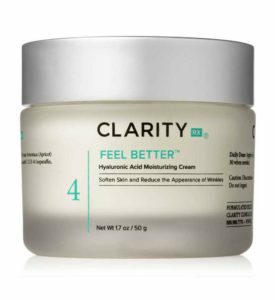 Enriched with vitamins, pure herbal extracts and nourishing oils, your skin is never overly stressed from the mask and is instead left revived, clear and refined. 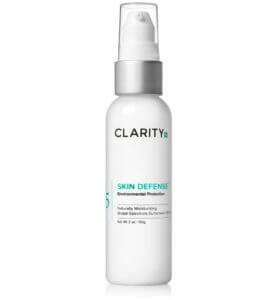 An intensive face mask for clarifying your skin, removing impurities and clearing pores. 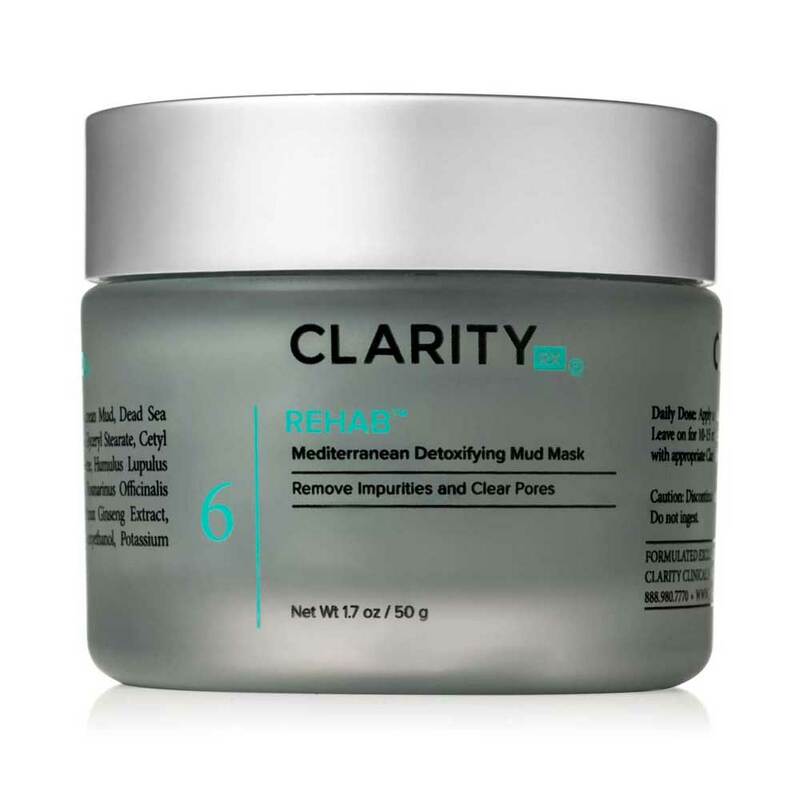 Put your skin into check with ClarityRx Rehab Mediterranean Detoxifying Mud Mask, a deeply purifying face treatment made with a blend of powerful clarifying ingredients. Enriched with vitamins, pure herbal extracts and nourishing oils, your skin is never overly stressed from the mask and is instead left revived, clear and refined. Aloe Vera Gel, Mediterranean Mud, Dead Sea Mud, Fullers Earth, Kaolin, Bentonite, Glycerin, Glyceryl Stearate, Cetyl Alcohol, Jojoba Oil, Squalene, Hops Extract, Burdock Root Extract, Rosemary Leaves Extract, Sage Leaves Extract, Ginseng Extract, Fragrant Oil, Sodium Hyaluronate, Dead Sea Salt, Phenoxyethanol, Potassium Sorbate, Sodium Benzoate, Citric Acid.